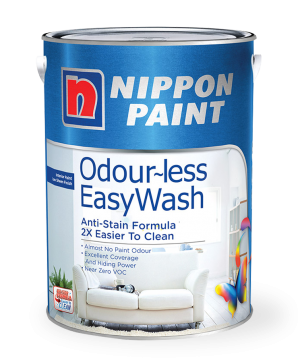 Odour-less EasyWash is a super premium acrylic paint with superior stain resistance and easy stain removal. It is specially formulated with “Green” ingredients to limit air pollutants and other environmental impacts. It has extremely low odour during application and drying and is ideal for the painting of commercial and residential areas with high human traffic.